Our new toy arrived last week! 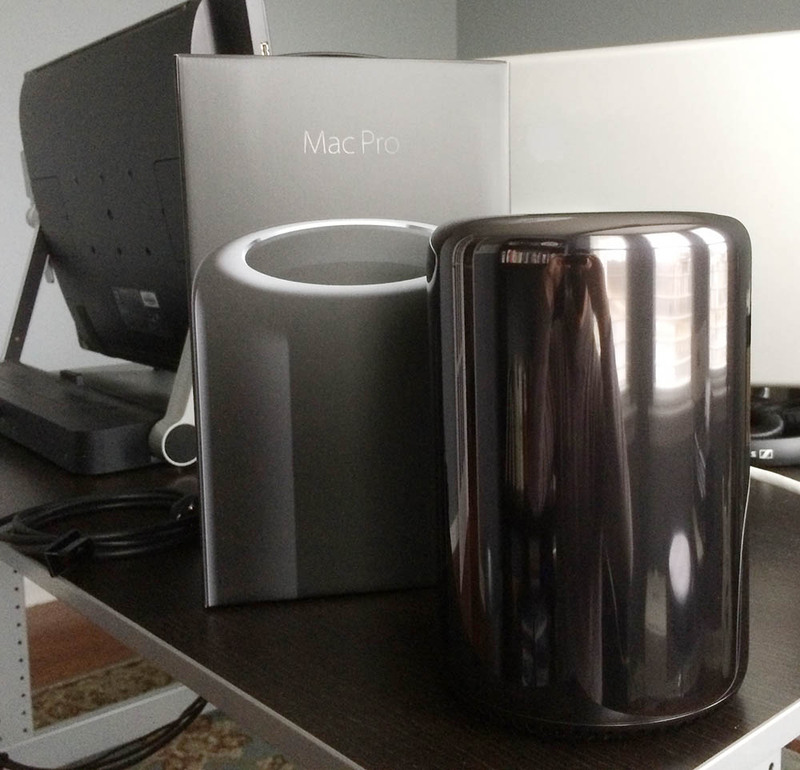 It felt like forever that we were hearing rumors of a complete remodel of the Mac Pro system, and we almost gave up and made the switch to PC (which is a quite common system in the CGI world but shunned in the Photoshop/retouching world). It took nearly two months to come since we first ordered it, but we've got it up and running now and the system is great. It's strange to me over time how our perception of a computer can change. It seems so fast at first, but then the software demands and our overall expectations change so dramatically that the computer seems to slow down over time. New cameras with bigger files, more CGI processing, and more tasks happening concurrently all put a strain on the system. Well, hopefully we can enjoy this beast for a few years, and then onto the next one.... Sure is fun at the moment though! Here is the ram slot on the new mac pro. 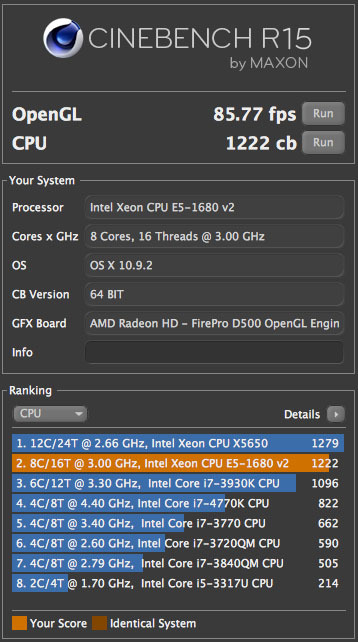 Cinebench is a software application made by our CGI software program, Maxon's Cinema 4D. It's a measurement of your system performance compared to other systems running their software. 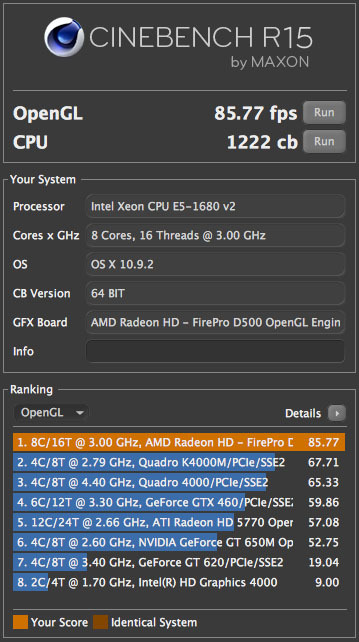 Looks like our CPU and GPU are 2nd and 1st on their list, respectively. Yay!